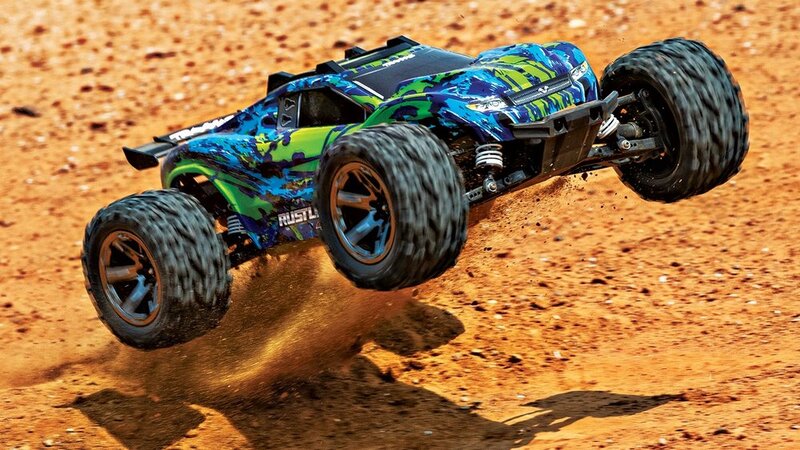 Traxxas' E-Revo has been in our Top Ten Products for the last three years running, so it's no surprise Traxxas is ready to make it even better. And they have. The new E-Revo isn't a complete redesign, but tiny improvements were made all over the truck to make it more durable, more sleek, and more bashable. According to Traxxas, more than 90% of the truck received some kind of upgrade. The differentials were swapped out with X-Maxx-spec diffs. New steel driveshafts replace the old plastic ones, and a new, simpler transmission now includes a center differential and replaces the slipper clutch with the new cush-drive system also seen on the X-Maxx. Another X-Maxx feature, the clipless body design, also makes its E-Revo debut here, with two slick new color schemes to choose from. 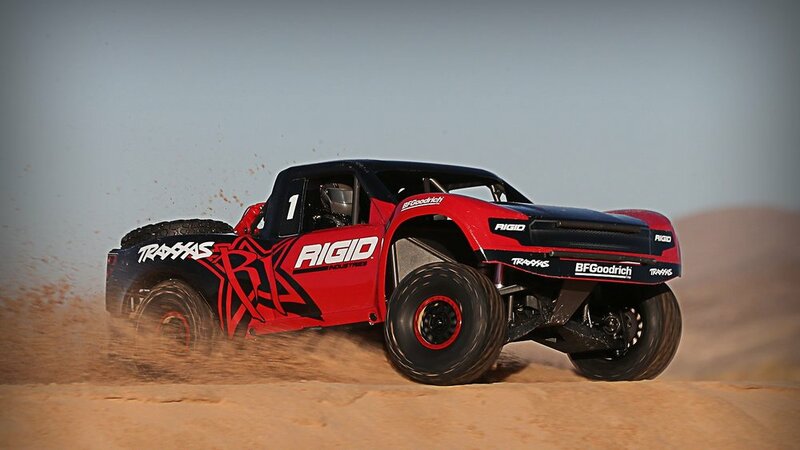 Bigger tires, beefier arms, aluminum-bodies shocks, front and rear chassis braces, and bigger driveline bearings are all new on the E-Revo 2.0, and built with bashing in mind. 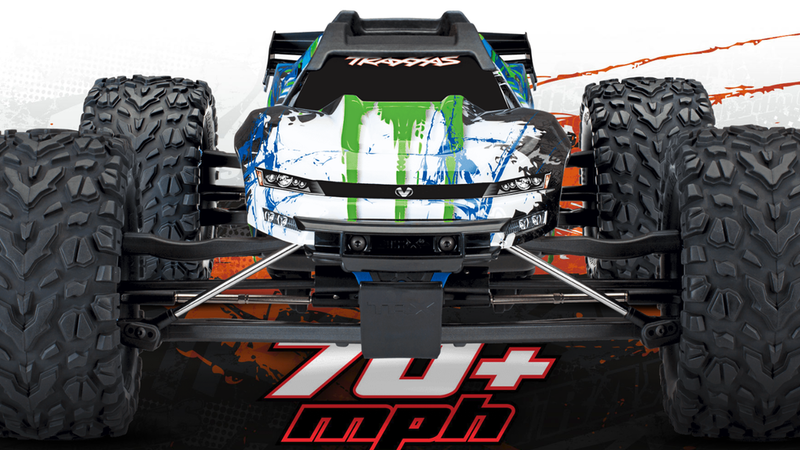 While Traxxas lists the E-Revo 2.0 at $589.99, we'll be selling it for $569.99. Batteries and a compatible charger are sold seperately, and required for operation. Supplies will be extremely limited, so pre-order yours soon — and be on the lookout for our advanced-delivery display model, which should be shipping soon! We've known about this truck for a while, but it's now been publicly revealed by Traxxas! 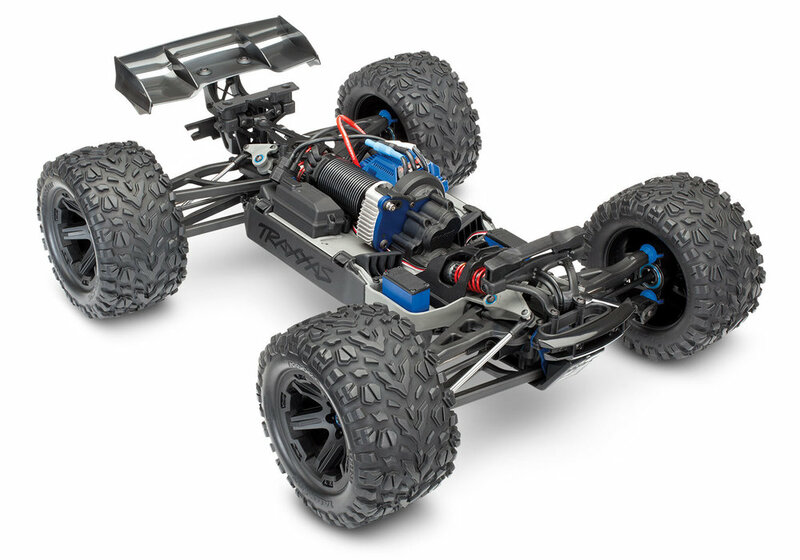 The Unlimited Desert Racer (UDR) is a 1/7 scale baja truck with a solid rear axle and independent front suspension. 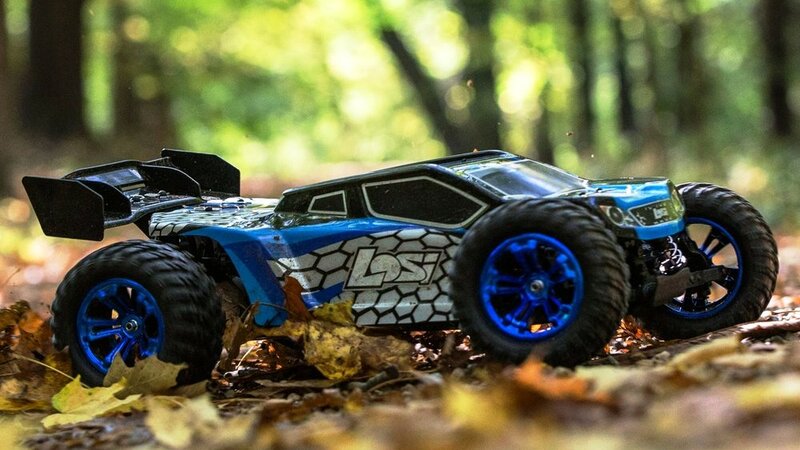 Coupled with X-Maxx style differentials, a dual-bellcrank steering setup, and Traxxas' new Extreme-Travel GTR shocks, this should be a solid big scale basher. The only bummer in the whole thing is the integrated, fixed battery connectors. This practice prevents the customer from utilizing non-Traxxas batteries (which I'm sure what the point), meaning if you like what you see in the UDR, you better also like Traxxas' battery selection and Traxxas chargers. Probably not a big deal for most, but some will surly dislike this move. The UDR is due in for sale Early March, but we'll be getting a display unit before that, so keep an eye out for its arrival, then stop in and check it out! The unlimited Desert Racer will sell for $749.99.